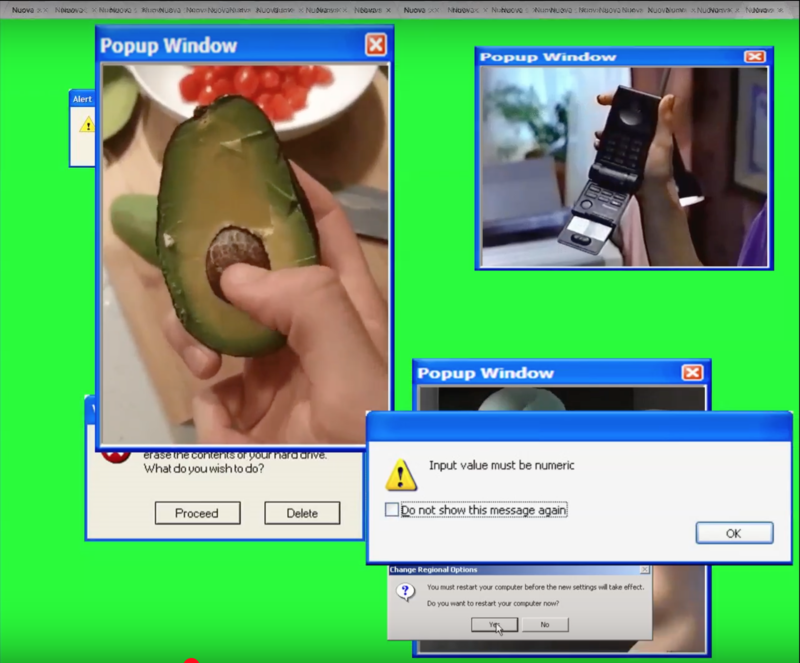 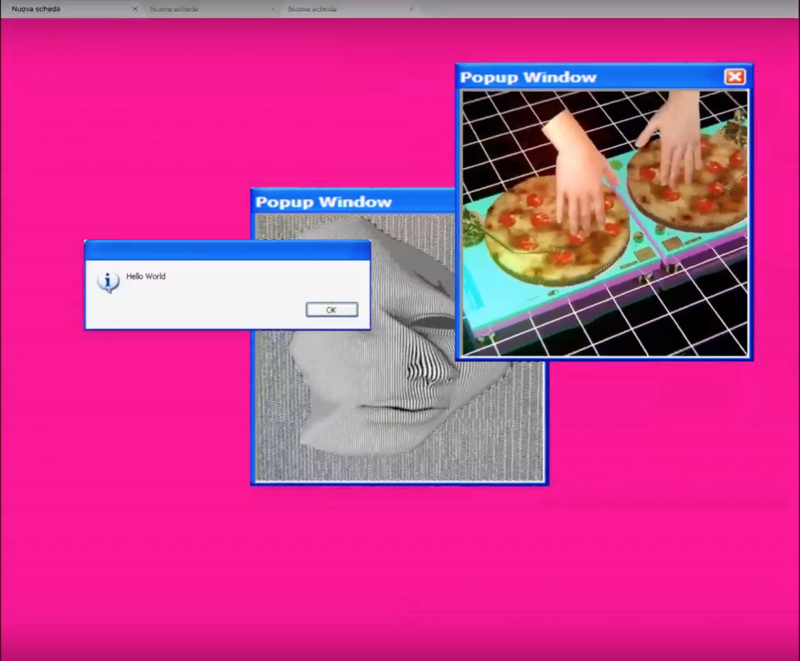 POP UP is a short video by Calembour that remixes contents of the web in the form of animated gifs with some warning messages and redraws them in a popup form, as a new form of narration, no longer linear, but “hypertextual”;. 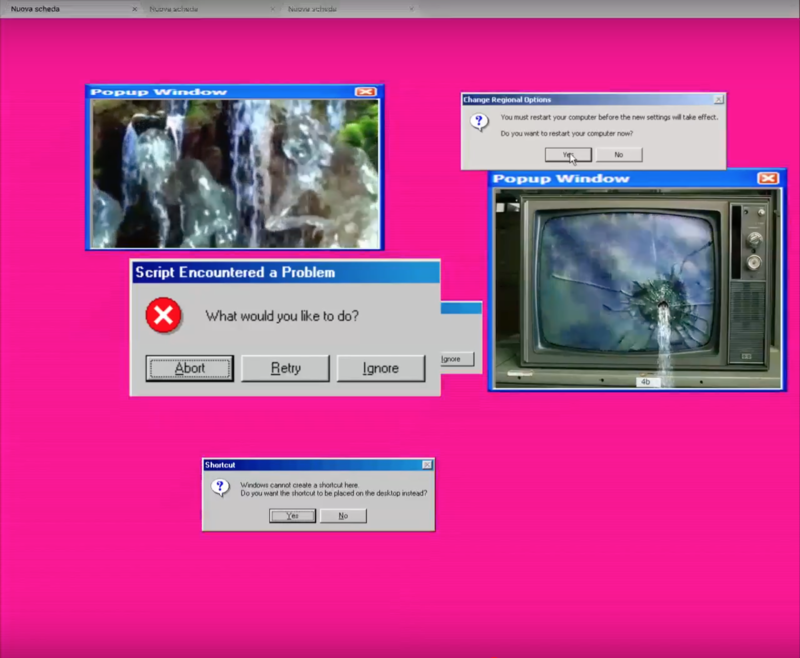 What turns out is a well recognizable poetic, reworked in the form of films, as if it were a screenplay, a storyboard, with characters, texts, environments, ellipses, beginning and end. 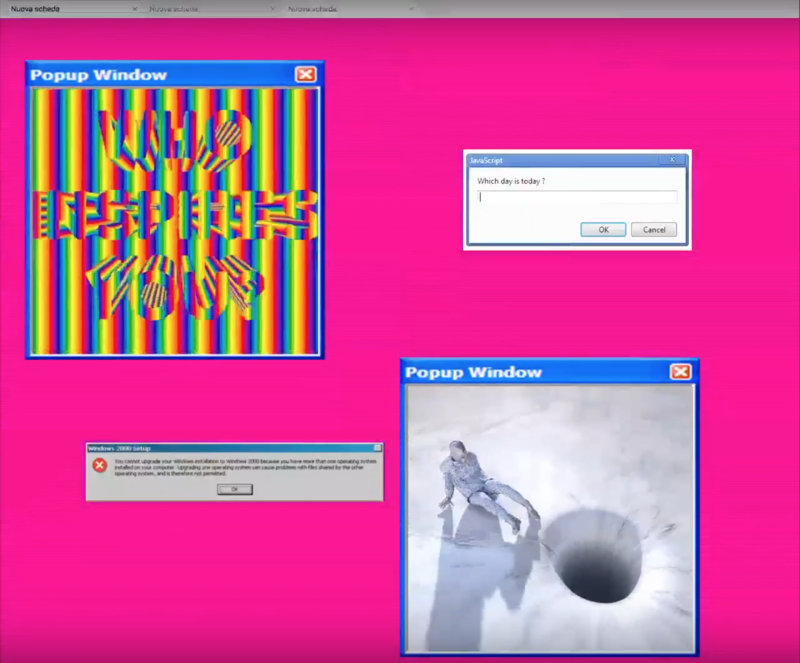 The video has a deliberately small and square format to emphasize the objectivity character of being a perimeter, a container-of- contents. 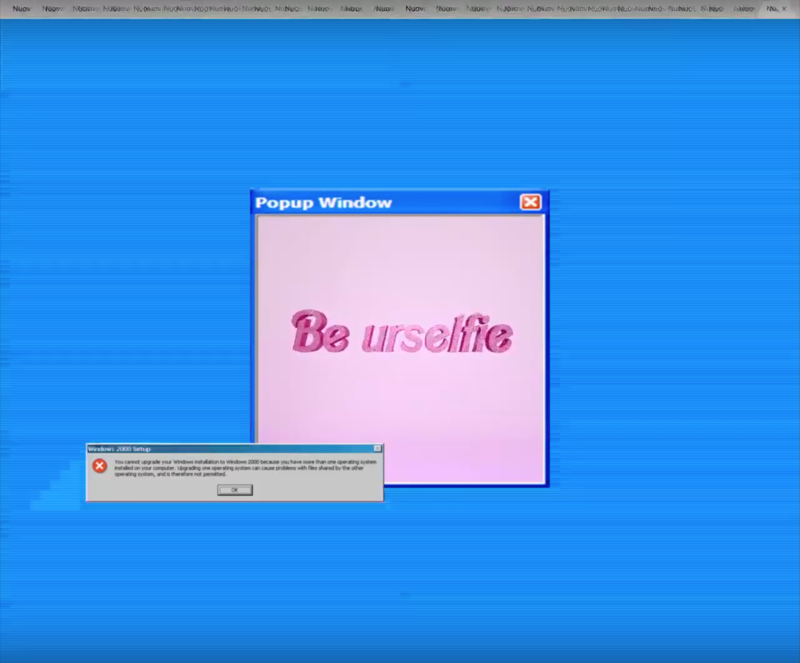 The theme is the pop culture during this last 40 years – its marketing of content but also its “ability” to create imaginary figures, visible and shared worlds – but also the mutation of content linked to his container – the passage from tv to the web, from “parole” (F. De Saussure) to emoticons, from frames to windows. 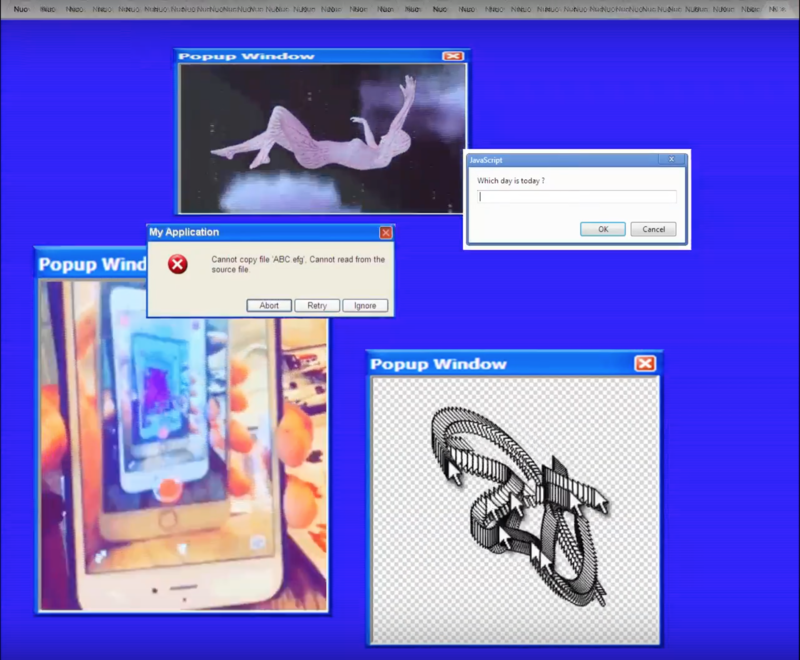 It’s a meta story of/on topics, of/on passage from a diachronic to an synchronic time, in which future is, at the same time, always and never. 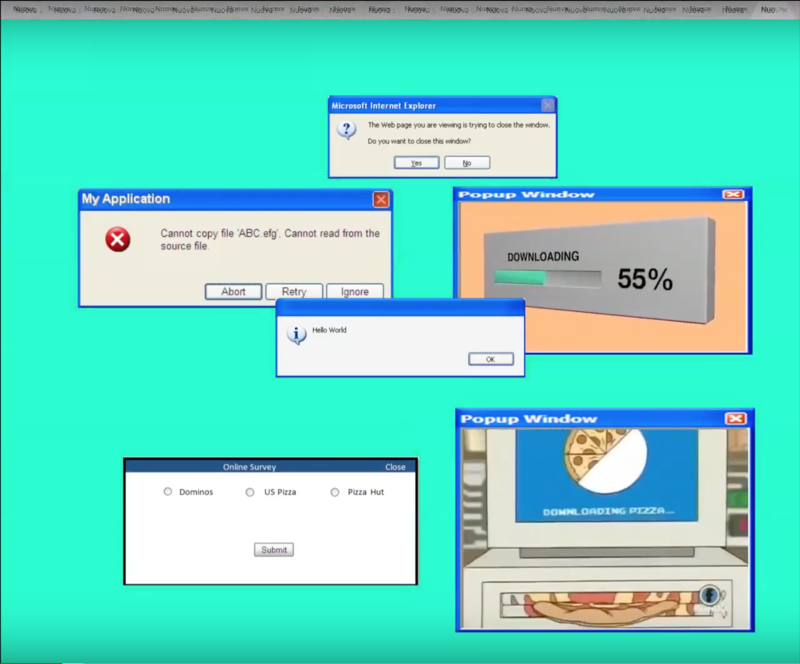 This short film also has an important factor: the soundtrack is entirely made up of audio that exists on the Internet in the form of an alert or an informative sound, remixed and arranged to emphasize the narration but without losing its non-musical trait. . From a metalinguistic point of view, it’s a work that wants to question the video, in its structural forms: the framing, the point of view, the linear narration, the soundtrack, the content/container, the relationship with the web, therefore with a connected and concentric form of time.